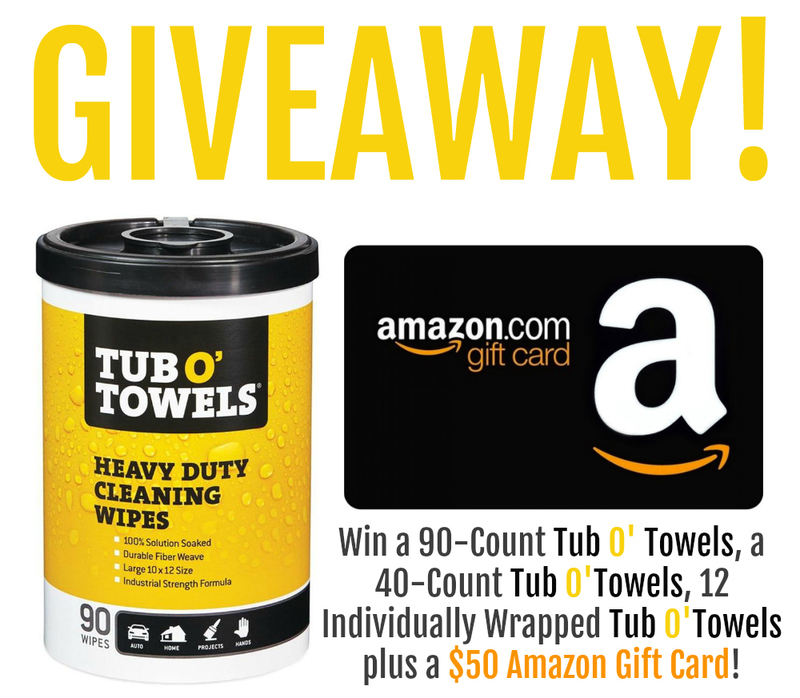 Tub O' Towels PLUS a $50 Amazon gift card Giveaway! | More Crunchy Beach Mama! Tub O’ Towels PLUS a $50 Amazon gift card Giveaway! I’ve teamed up with Janessa and a few other bloggers to bring you a great giveaway featuring Tub O’ Towels! WIN a prize package featuring a 90-count, 40-count, and 12 single on-the-go packs of Tub O’ Towels PLUS a $50 Amazon gift card!